Earth Day, April 22, is a global annual event where individuals, governments and corporations take action to address environmental issues impacting the planet. Earth Day Network expects 1 billion people in 192 countries will participate in Earth Day events and next year Earth Day will celebrate 50 years. The State of Maryland has multiple activities planned for the entire month but this post is to share information on the Maryland Commission on Climate Change (MCCC). The MCCC, established by Executive Order (01.01.2007.07), is charged with developing an action plan and firm timetable for mitigation of and adaptation to the likely consequences and impacts of climate change in Maryland, including strategies to reduce Maryland’s greenhouse gas (GHG) emissions. MCCC puts out an annual report that contains updated data on climate issues and impact on the State as well as information on progress the State has made and recommendations. 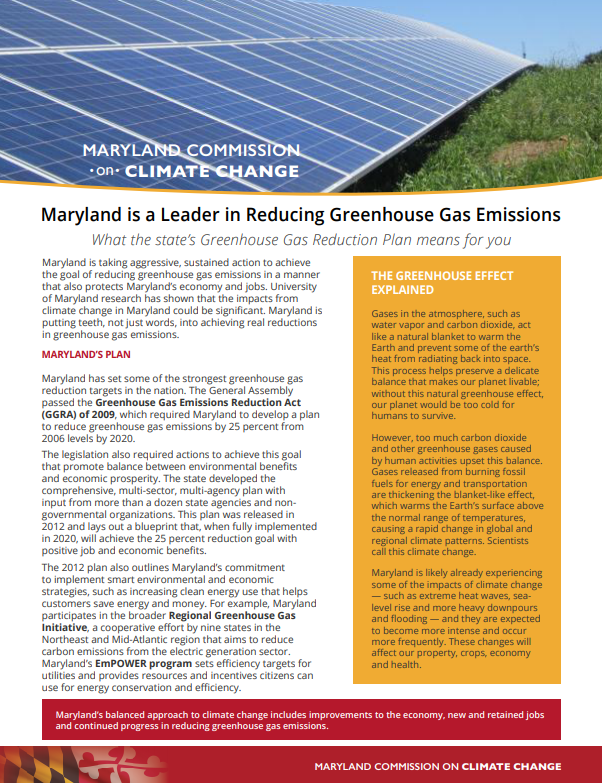 Maryland continues to reduce greenhouse gas emissions, transition to cleaner and healthier environmental solutions, increase local resiliency and preparedness, and improve scientific understanding and public awareness. However, more emphasis is now needed for finding additional, bold innovations in energy, transportation, agriculture, and natural resources management, that will allow Maryland to meet its climate goals while ensuring positive impacts to jobs and the economy, and advance our shared commitment to public health and equity. 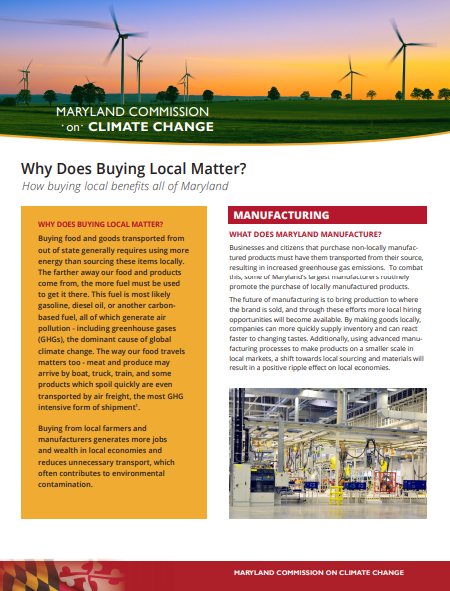 For more information and to read the complete report,please visit the Maryland Commission on Climate Change website.